Jayanth R. Banavar is the provost and senior vice president of the University of Oregon. 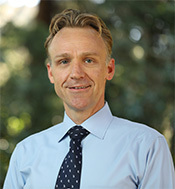 He began serving as provost on July 1, 2017. A distinguished physicist, Jayanth served as University of Maryland’s dean of the College of Computer, Mathematical, and Natural Sciences (2011-2017). Prior to his deanship, Jayanth led the Department of Physics at Pennsylvania State University for 12 years. Jayanth received a bachelor of science with honors and a master of science in physics from Bangalore University and a PhD in physics from the University of Pittsburgh. David Austin oversees communications for the provost and the academic units that report into the office. An Oberlin College graduate who majored in English, David spent 22 years at The Oregonian as a reporter, editor, and team leader. He also created and ran the newspaper’s high school and college journalism outreach programs. He served as communications director for Multnomah County and was deputy chief of staff for a Portland city commissioner and a city bureau director before coming to the University of Oregon. Ron Bramhall leads efforts to align curriculum review and revitalization, academic policies, and departmental practices to help achieve the institution’s goals related to student success and the student educational experience. Prior to his work in the Office of the Provost, Ron served on the management faculty in the Lundquist College of Business for 14 years where he taught business leadership, communication, and the legal environment of business, and directed the business honors program for five years. During that time, Ron was on university curriculum and presidential advisory committees, and was on the United Academics bargaining team that negotiated the first faculty collective bargaining agreement. In her role as associate vice provost for academic affairs, Yvonne focuses on initiatives in academic affairs such as academic program review and supports tenure-track faculty review, tenure, and promotion processes. Prior to joining the Office of the Provost, Yvonne served as department head of Women’s, Gender, and Sexuality Studies, director of the African Studies program, and graduate studies director in International Studies. 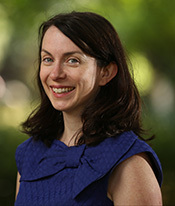 She has been at the university since 2005 and is currently a faculty member in the Department of International Studies. Her research and teaching interests are in gender, intersectionality, international development, environment, globalization, social movements, and inequality. 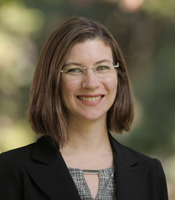 Sierra Dawson’s work focuses on defining, developing, evaluating and rewarding teaching excellence, as well as unit head onboarding and training and leadership development, and matters related to career track and other non-tenure track faculty. Sierra was hired in 2003 as instructional faculty in the Department of Human Physiology, where she continues to teach pedagogy-orientated courses for both graduate and undergraduate students. 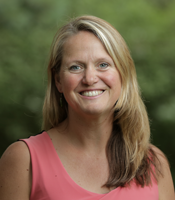 Sierra’s expertise lies in inclusive, engaged and research-led teaching, and she regularly presents at regional and national conferences on topics related to large class teaching, inclusive teaching, and evaluation of teaching. Sierra is passionate about supporting the continual growth of those around her whether they be undergraduate/graduate students, faculty, or administrative leaders. Renée Dorjahn focuses on projects to improve financial and human resource allocation in academic units by gathering and synthesizing a broad range of data, blended with operations analyses. She also works as director of finance and administration in the Robert D. Clark Honors College. Prior to joining the university in 2011, she held several product development and operations management positions in the telecommunication and computer industries, and an executive role in a startup, developing an ophthalmic medical device. Renée has a BA in mathematics from the University of Oregon and an MA in statistics from the Wharton School of Business at the University of Pennsylvania. As interim project manager, Gretchen Drew supports a variety of programs and initiatives for the Office of the Provost and its reporting units. 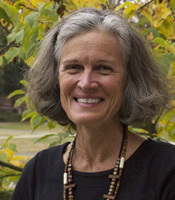 Gretchen has been with the Office of the Provost since 2015. Previously, she served as the strategic communications coordinator for the provost's office and was a part of the University Communications - Internal & Executive Communications. Gretchen holds a BA in liberal arts from The Evergreen State College and a MS in Arts Administration from the University of Oregon. 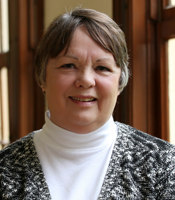 Carol Gering is the associate vice provost for Online and Distance Education, and assists in enhancing and strengthening the UO’s infrastructure for online and distance education by creating partnerships with academic departments across the university. 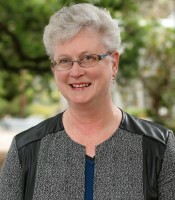 Prior to joining the University of Oregon, Carol worked for the University of Alaska-Fairbanks (UAF) as the executive director of eLearning and Distance Education. She has been serving in various capacities related to distance education since 1994. Carol holds a BS from Southern Nazarene University, an MA in curriculum and instruction from UAF, and an interdisciplinary PhD in online education and psychology from UAF. In her role as vice provost for academic affairs, Ellen Herman oversees the tenure-track faculty review, tenure, and promotion processes. 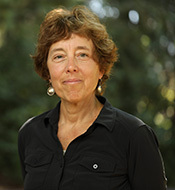 Ellen joined the Department of History in 1999. During her 18-year tenure at the university, she has served as a faculty member, a department head, and as faculty co-director of the Wayne Morse Center for Law and Politics, a position she continues to hold. The author of three books exploring the relationship between politics, policy, and the human sciences in modern U.S. history, Ellen’s current research explores the history of autism. Ellen holds a BA from the University of Michigan and a PhD from Brandeis University. Suzette Howard is the executive assistant to the provost and senior vice president. She serves as the primary contact to the provost to ensure all matters related to his calendar, meetings, and use of his time are managed with efficiency and flexibility. 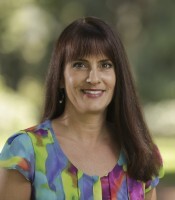 Prior to coming to the University of Oregon, Suzette served as the assistant to the vice president for student affairs at California State University, Bakersfield (CSUB). She holds a bachelor's degree in public policy and administration from CSUB. Karen Jefferis prepares, manages, and implements the annual budget for the Office of the Provost. She provides monthly financial management reports for operating, restricted, and foundation funds as well as providing assistance with the payroll functions. She manages and tracks the funding for the Dual Career, Partner Program, UMRP, and various awards for the faculty. In addition, Karen manages the budget for the Office of the President. 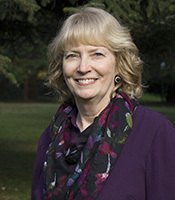 Karen has been with the university since 2008 and holds a bachelor's in accounting from the University of Oregon. Chris Krabiel assists with the university’s budget and strategy inclusive of university special projects. Chris is also the associate dean of finance and operations for the College of Education, serving the college since May 2015. Other previous university roles include interim CIO for the university from February 2016 to May 2017. Prior to joining UO, Chris worked as an executive in the casino resort industry for over 25 years in capacities ranging from CFO to VP of finance and operations to regional general manager. Rocco Luiere’s work in the Office of the Provost focuses on the effective deployment of university resources within the academic units, particularly as it relates to strategic planning, forecasting, analysis, and general administrative operating issues. 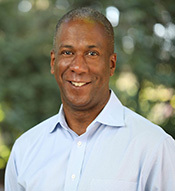 Prior to joining the University of Oregon in 2013, he spent 17 years in corporate finance and operations in the telecommunications, entertainment, gaming, and hospitality industries. He holds a BS in business management and marketing from Cornell University and an MBA with concentrations in finance, corporate accounting, and operations management from the Simon Business School at the University of Rochester. In her position within the Office of the Provost, Melanie Muenzer focuses on key academic initiatives and institutional priorities, working closely with deans, vice presidents, and the Office of the President. Melanie came to the university from the U.S. Department of Education where she served as White House liaison, chief of staff in the policy office, and deputy assistant secretary for higher education policy. Prior to her work at the Department of Education, she served on President Obama’s 2008 campaign and his Presidential Transition Team. As executive vice provost for academic affairs, Scott Pratt's work is focused on defining and implementing high-priority academic initiatives for the university. Prior to joining the Office of the Provost in 2017, Scott was vice provost and dean of the graduate school since 2015. 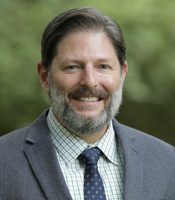 Over his 20-year career at the university, Scott has held many roles, including associate dean of the humanities; director of graduate studies and director of undergraduate studies in the philosophy department; and department head of philosophy. His research and teaching interests are in American philosophy (including pragmatism, America feminism, philosophies of race, and Native American philosophy), philosophy of education, and the history of logic. He has published seven books including American Philosophy from Wounded Knee the Present (Bloomsbury, 2015), a comprehensive history of philosophy in North America from 1890. Jove Rousseau is the executive assistant for Melanie Muenzer, associate vice president and vice provost for academic initiatives, and Chuck Triplett, assistant vice president for university initiatives and collaborations. After being raised in Costa Rica, he was educated at Reed College and the University of Oregon, gaining a BS in applied economics, business, and society. Jove recently returned from Northern Italy where he was working as an instructor and administrative assistant in the International School of Genoa. He will continue his work at the University of Oregon where he has worked as both the foreign national specialist and executive support since 2015. Lee Rumbarger directs UO’s professional teaching development program, including the Teaching Engagement Program’s (TEP) slate of events and network of faculty learning and leadership communities (CAITs), which form around key teaching issues such as high-challenge gateway courses and teaching about difference and inequality. She partners with the Teaching Academy board to host UO’s distinguished teachers as an advisory group to the provost and chairs the provost’s Teaching Success group. Lee serves on the University Senate core education and teaching evaluation committees. 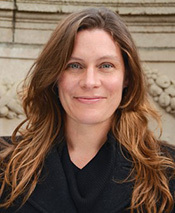 She holds a PhD in English from the University of Texas at Austin and has worked in administrative and teaching roles at Vassar College and the University Exeter in the United Kingdom. Sonja Runberg provides executive support for Ellen Herman, vice provost for academic affairs, and Yvonne Braun, associate vice provost for academic affairs. In additions, she is responsible for administrative support throughout the promotion and tenure, mid-term, and post-tenure review processes, and oversees sabbatical tracking and report submission. 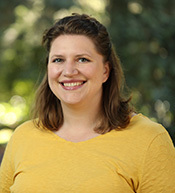 Also, Sonja assists the director of operations, serves on the UO HR Advisory Council, staffs search committees, and supervises students in the Office of the Provost. Doneka R. Scott is responsible for developing and implementing strategic priorities for student advising and student engagement initiatives, as well as for facilitating reform of relevant university policies and procedures. Doneka works closely with institutional research, enrollment management, student life, equity and inclusion, and other campus bodies engaged in research and assessment of student drop-out patterns and intervention opportunities promoting graduation. Additionally, Doneka oversees the implementation and leveraging of the university’s primary student success tool, EAB’s Student Success Collaborative Campus. Anna Shamble manages projects for the Office of the Provost, working closely and collaboratively with units reporting to the provost and president. She also coordinates tenure-related faculty hires and the supplemental hires program. Anna holds a BS in mathematics from Santa Clara University and an MS in conflict and dispute resolution from the University of Oregon. She worked in telecommunications before joining the UO team in 2011. 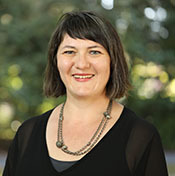 Before joining the provost's office in 2016, Anna worked at the UO School of Law's conflict and dispute resolution master’s program for five years, most recently serving as managing director. Brad Shelton is the chief academic officer charged with the implementation and maintenance of the university’s academic budget allocation systems. 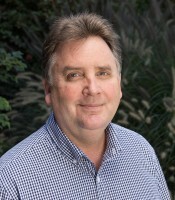 Brad has been with the university since 1985, serving as interim vice president for research and innovation from 2014-2016 and head of the Department of Mathematics from 2001-2008. Brad’s research focus is in non-commutative ring theory, Koszul algebras, and non-commutative algebraic geometry. Rhonda Smith works with dual career partners to find long-term positions on or off campus. After 20 years of experience in career advising and employment-related programs, she understands that personalized services create successful collaborations. Most recently, Rhonda was the career services director in the UO School of Planning, Public Policy and Management where she advised graduate students on career development and job search strategies. In her previous role in human resources at the City of Eugene, she managed the career development assistance program for 1,500 employees. Rachel Eikenbary Tischer provides administrative support to Sierra Dawson, associate vice provost for academic affairs, as well as for Bill Cresko, director of the Presidential Initiative in Data Science, and Patrick Phillips, professor of biology and senior advisor to the president. Prior to coming to the University of Oregon, Rachel served as the assistant to the dean at the Gaylord College of Journalism and Mass Communication at the University of Oklahoma (OU) in Norman, Oklahoma. Rachel holds a BA from OU in English literary and cultural studies. 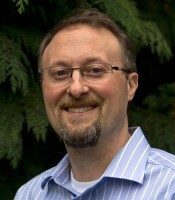 Chuck Triplett began working at the University of Oregon in September 2014. Chuck works with the president, provost, and senior leadership to provide executive-level staffing, information, strategic planning, and other high-level support. He serves as the regional Accreditation Liaison Officer, advises leadership on state-level policy issues, and supports the development and allocation of infrastructure to support the academic mission of the university. 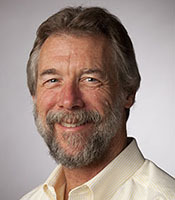 Prior to joining the Office of the Provost, Chuck served as chief of staff and board secretary for the former Oregon State Board of Higher Education and Chancellor’s Office. Carolyn Vogt joined the Office of the Provost in 2018 as executive assistant to Scott Pratt, executive vice provost for academic affairs, and to Ron Bramhall, associate vice provost for academic excellence. In addition to managing their calendars and providing administrative support, she has assisted committees such as the Fund for Faculty Excellence and the Underrepresented Minority Recruitment Program. Carolyn also works closely with the director of operations on course review. Prior to coming to UO, she was the executive assistant to the president and vice president of a large Eugene company. Kathy Warden is the Director of Operations, overseeing administrative and human resource operations. 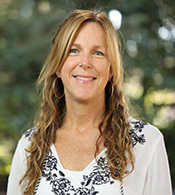 She staffs executive-level searches and is the UO curriculum coordinator, working closely with the Committee on Courses. Kathy has been with the university since 2010. Prior to coming to the UO, Kathy worked in the manufacturing industry for sixteen years serving most of those years as a human resources representative. She holds a bachelor's in business administration from Eastern Oregon University. As interim chief of staff, Angela Wilhelms assists the provost in accomplishing his goals for the institution’s academic mission and oversees the general operations of the Office of the Provost. 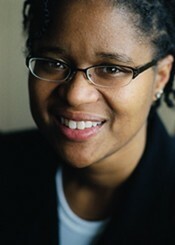 Angela also serves the UO as the university secretary, managing the affairs of the institution’s Board of Trustees. Angela came to the University of Oregon from Portland, where she practiced corporate and government affairs law. Prior to that, she served for many years as a chief of staff for the Oregon House Minority Leader and Oregon House Co-Speaker.